Few things have such a fundamental impact on a river as a dam or culvert. River restoration brings rivers back to life by removing dams, replacing culverts, and restoring floodplains. We manage projects, train others, and work on state/federal policies to improve the practice of river restoration. 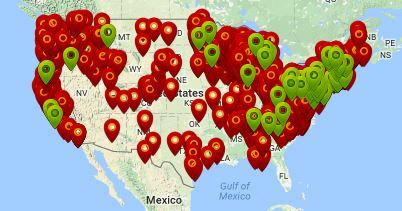 Estimated number of dams in the U.S.
Few things have such a fundamental impact on a river as a dam. 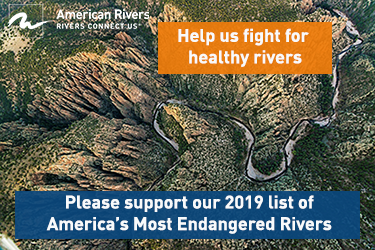 Dams block the movement of fish and other aquatic species, inundate river habitat, impair water quality, and alter the flow regime necessary to sustain river life. As dams age and decay, they can also become public safety hazards, presenting a failure risk and a dangerous nuisance. Many, perhaps most, of the more than 90,000 dams in the country are no longer serving the purpose that they were built to provide decades or centuries ago. There is no faster or effective way to bring a river back to life than removing a dam. American Rivers leads the nation in restoring rivers through dam removal. We have directly worked on more than 200 dam removals and helped many other projects by assisting government agencies and nonprofits to expand their capacity to restore rivers through trainings and focused program assistance. Stream crossings, where roads and railroads cross rivers and streams, are frequently unseen barriers to the movement of fish and other species. The most common culprits are culverts, pipes that serve as conduits for rivers under roads and railroads. Culverts often become barriers because they are perched above the riverbed, or they have flow that is too shallow or too swift for fish movement. American Rivers focuses on policy efforts to improve culvert installation and replacement across the country. Floodplains are the lands adjacent to a river that become regularly flooded during high river flows. As a result of this periodic flooding, floodplains are among the most biodiverse and productive lands on the planet. Floodplains also reduce downstream flooding, filter excessive nutrients, and replenish groundwater. Healthy mountain meadows function similarly, reducing peak floods, storing water, and improving water quality and groundwater recharge. Unfortunately, connected floodplains and healthy meadows are scarce throughout the country, and the benefits they could provide are rarely provided. 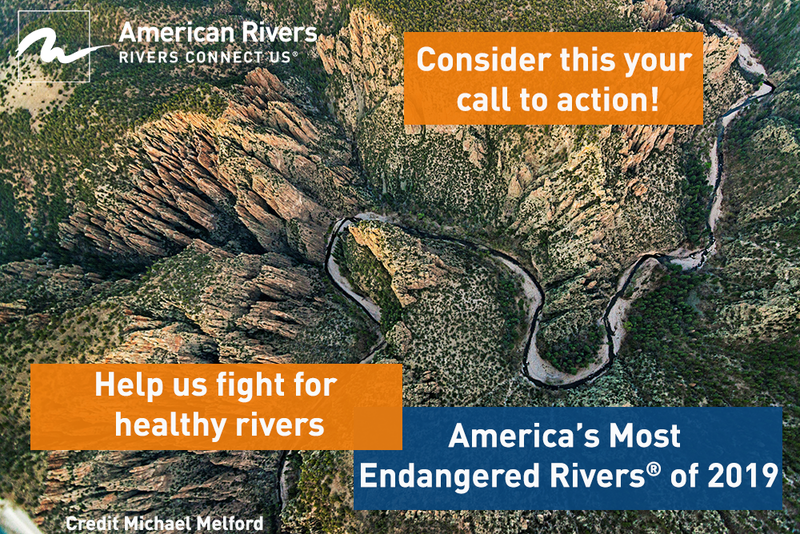 American Rivers is leading a national effort to reconnect rivers to their floodplains and restore healthy meadows through our advocacy, partnership-building, and project management. American Rivers has created a series of resources designed to empower federal and state agency staff, engineering design firms and other consultants, and nonprofit organizations (collectively, river restoration practitioners) with the tools, skills, and understanding necessary to restore damaged rivers. Explore our series of videos, fact sheets, and reports to learn more about removing dams, replacing culverts, and restoring floodplains.